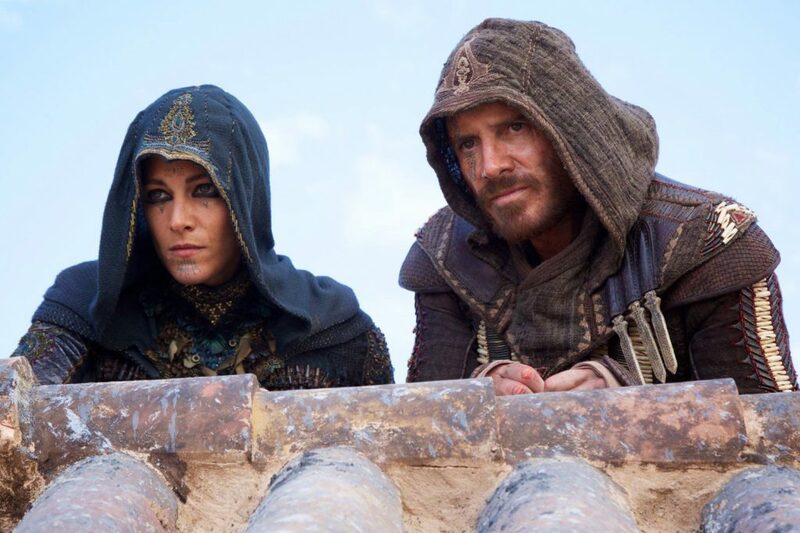 It’s generally best to keep one’s expectations low when it comes to movies based on video games, and “Assassin’s Creed” is no exception. If all you want is cool fights, exciting chase sequences with lots of parkour-style stunts, and Michael Fassbender showing off his time in the gym, you’ll almost certainly enjoy it. If, on the other hand, you are hoping for an enlargement of the universe of the games or even just a movie that holds together well, stay away. Like the games, “Assassin’s Creed” focuses on a modern-day descendant of the ancient order of Assassins. Cal (Fassbender) falls into the hands of the Templars, ancient enemies of the Assassins, who plan to use a machine called the Animus to force our hero to relive his ancestor’s memories. Cal’s ancestor, Aguilar (also Fassbender), was the last person to hold an ancient relic called the Apple of Eden. The Templars think it will give them the ability to make humanity obey their laws, so they really want it. If Cal can relive Aguilar’s memory of where he put it, they can get it. The premise is cheesy, but if we’re willing to suspend disbelief a bit, that’s not a problem. Unfortunately, a little suspension of disbelief won’t cut it. In an attempt to make the Animus more visually interesting, it’s been completely stripped of any believability it might have had in the games. There, the Animus is essentially a bed with some science-y stuff added to it. There’s no need to have it be visually exciting, since once the genetic memories are activated, the player is playing those stories. We don’t see the Animus much. In the movie, however, the Animus includes a giant mechanical arm that holds the subject by the waist and moves him around in space so he can mimic the motions of his ancestor as he relives them, courtesy of “an epidural” that hooks a lot like a creepy bug with needles. For bonus idiocy, the Templars arm the subject with fully-functional weapons, so not only is he blindly recreating ancient events while being slung around in midair, if he does anything wrong or they’re careless, he will probably kill someone. Who thought this made any sense? But it does make for quite a spectacle, which seems to have been the point. It’s all ludicrous, but beautiful. The fight sequences are pretty good, although it’s hard to be too impressed when it looks like they filmed at an easier speed for the actors and then just sped up the film so everybody is moving super fast. The choreography is beautiful, though, and enough of the fighting is awesome while not sped up to make it worth watching. The costuming and settings are gorgeous, and while there are a lot of shots that are obviously only present because the film is available in 3D, they’re still lovely. If you can turn your brain off and ignore things like stabbing weapons being used like broadswords and anachronistic facial tattoos, you may well enjoy it. It doesn’t make a lot of sense whether you’ve played the games or not, so don’t worry about that. Just keep your expectations low, and you won’t be disappointed.